Swift ion beam analysis (IBA) of materials and their surfaces has been widely applied to many fields over the last half century, constantly evolving to meet new requirements and to take advantage of developments in particle detection and data treatment. Today, emerging fields in nanosciences introduce extreme demands to analysis methods at the nanoscale. This book addresses how analysis with swift ion beams is rising to meet such needs. Aimed at early stage researchers and established researchers wishing to understand how IBA can contribute to their analytical requirements in nanosciences, the basics of the interactions of charged particles with matter, as well as the operation of the relevant equipment, are first presented. 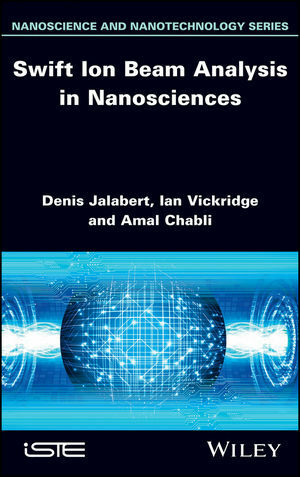 Many recent examples from nanoscience research are then explored in which the specific analytical capabilities of IBA are emphasized, together with the place of IBA alongside the wealth of other analytical methods. 1. Fundamentals of Ion-solid Interactions with a Focus on the Nanoscale. 4. The Place of NanoIBA in the Characterization Forest.